June Ogden Watson, 98, of Urbana passed away at 11:15 a.m. on Tuesday, November 20, 2018 at Champaign County Nursing Home in Urbana. A service of committal will be held at 10:00 a.m. on Friday, November 30, 2018 in the Wesley Heritage Center Columbarium, Wesley United Methodist Church. June was born in Isabel, IL on October 18, 1920 to parents Paul Raymond and Vera (Carnes) Ogden. They preceded her in death. Also preceding her in death were two brothers and their wives; Carlos Carnes Ogden (Louise) and Robert Raymond Ogden (Mary Elizabeth). Her sister and brother-in-law Elizabeth and Harry Ackelson and brother-in-law David E. Watson also preceded her in death. On October 8, 1944 June married Robert O. Watson Jr. in Springfield, IL; they were married for 62 years before Robert passed away on March 16, 2006. June is survived by her daughters; Rebecca June Danenhower (L. Renard) of Anthem, AZ and Elizabeth Anne Whiteford (Russell E.) of Hilton Head, SC, grandchildren; Anne Elizabeth Danenhower (Scott Coates), David Watson Danenhower, Catharine Carnes Danenhower, Sarah Rebecca Danenhower, Andrew Watson Whiteford (Courtney), and Rebecca Watson Poggi (Richard). Her great grandchildren; Carter Eugene Coates, Elizabeth Joy Poggi, six nephews and three nieces also survive her. She leaves behind dear friends in her prayer circle of over 50 years; Connie McGill Atkins, Beverly Williams and Helen Woods. June was a graduate of Paris High School and Sparks Business College in Shelbyville. She also attended the University of Illinois. June was a member of Wesley United Methodist Church where she served on the Membership and Worship Committees, taught Sunday school, served as President of the United Methodist Women, and served on various commissions and boards. She was a member of Chapter FF, P.E.O Sisterhood initiated in 1962, served on the Executive Board of Illinois State Chapter, P.E.O. Sisterhood and served as President from 1988-89. 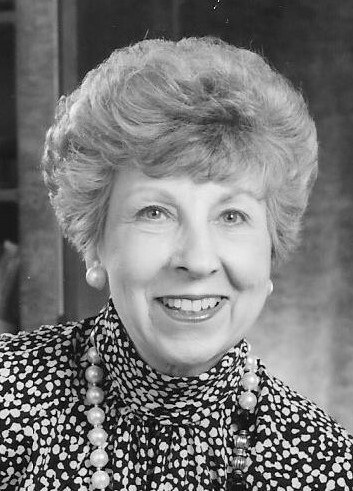 June was a Life Member of the University of Illinois Alumni Association, served on the Board of Directors at the Cunningham Children’s Home, a member of the Urbana Golf & Country Club, a charter member of “Save the Chief Society” and was a Rotary International Paul Harris Fellow. She was active in P.T.A., Girl Scouts, Carle Hospital Auxiliary, U of I Women’s Club, Natural History Survey Wives Group and participated in a number of University of Illinois Ph.D. Physical Fitness Laboratory research programs. June’s family would like to express deep thanksgiving to Gloria Valenti and the staff of Diversified Healthcare, Carle Hospice and the staff of Champaign County Nursing Home for their compassionate care the past several years. We also have great appreciation for the many family members and friends who have faithfully visited her especially Mildred Barnett. Memorial contributions may be made to Wesley United Methodist Church, 1203 W. Green St., Urbana, IL 61801. Condolences may be offered at renner-wikoffchapel.com.